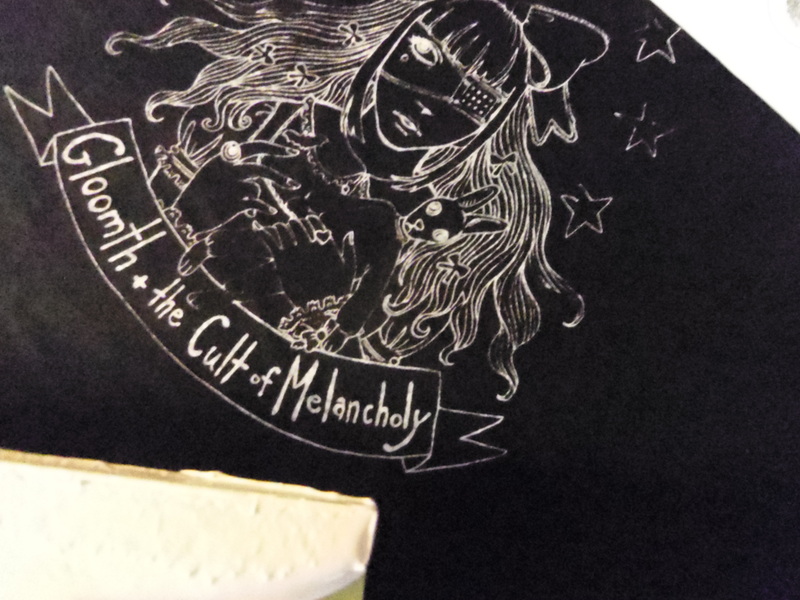 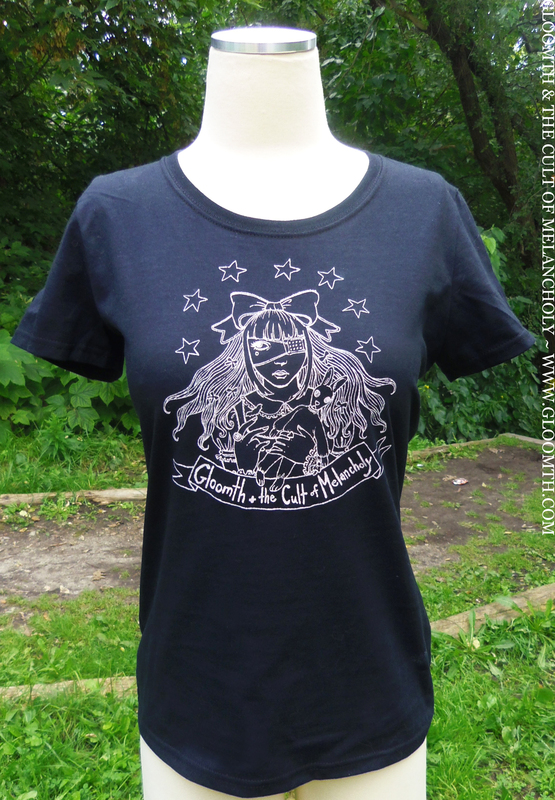 The first design features a bored Gloomth Girl character wearing an eye-patch and holding our bunny mascot. 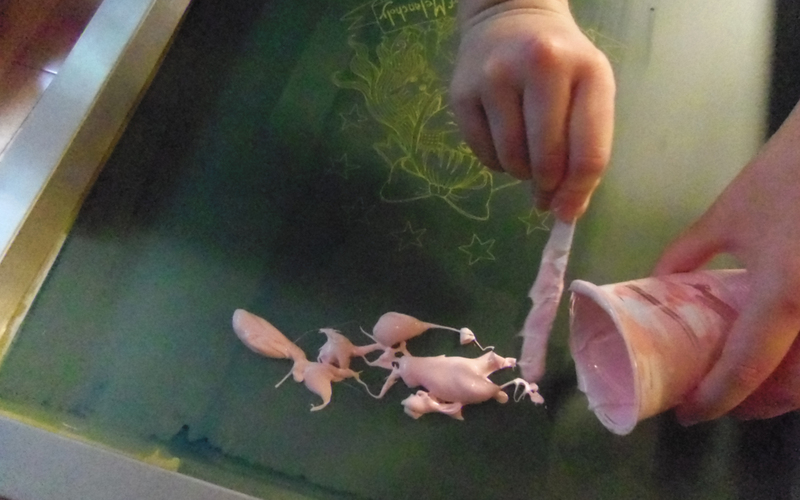 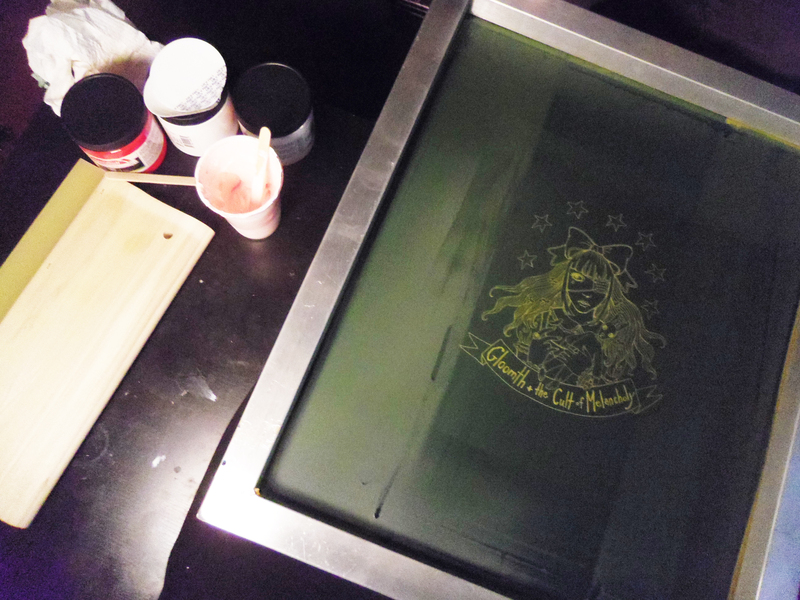 The image is hand screened in pale pink ink (next time will be a different color) in our studio. 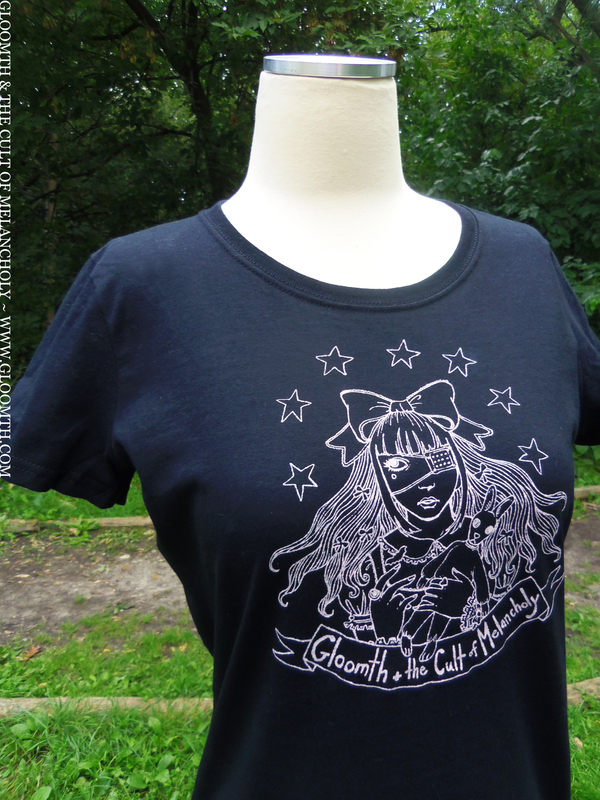 The first run is available in sizes Small to 3XL in a girl’s fit loose black 100% cotton shirt produced by “Fruit of the Loom”.